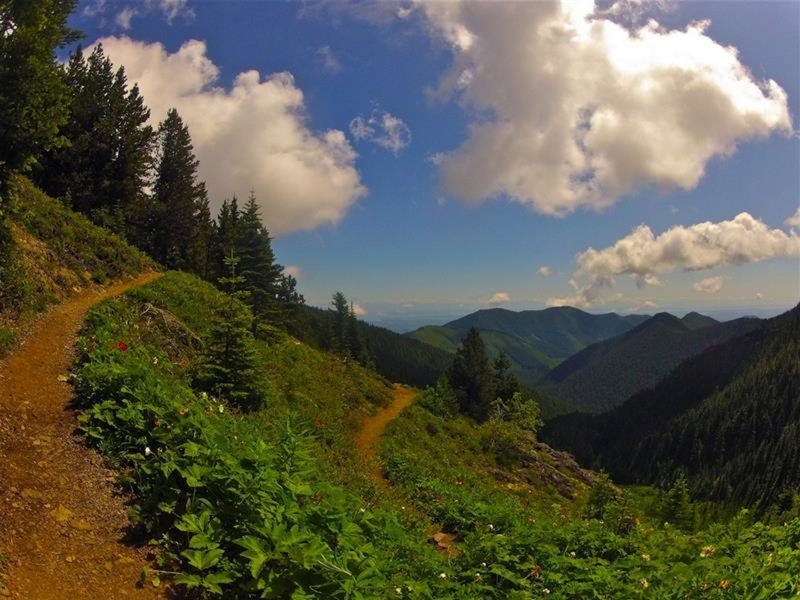 The 8-mile roundtrip hike to the summit of Mount Townsend is a local favorite for Seattle residents, loaded with stellar panoramic views of the city, Puget Sound, and surrounding peaks. 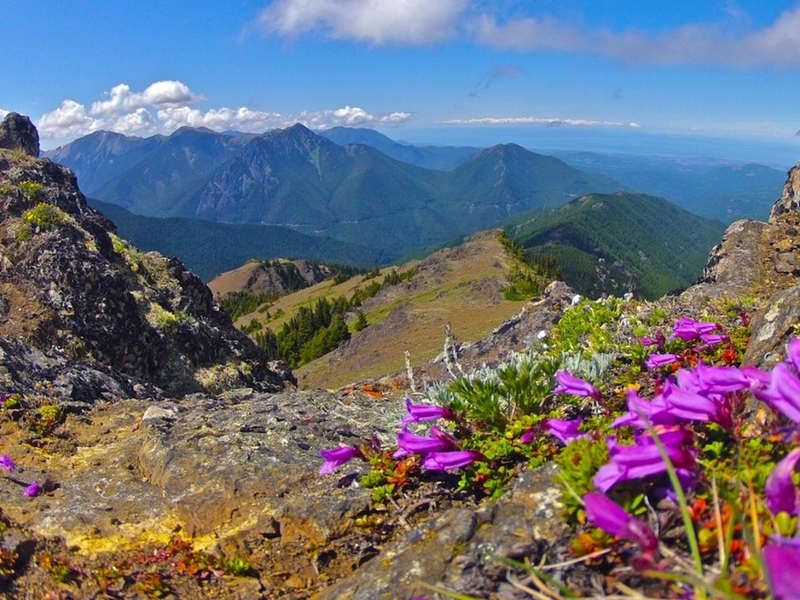 At 6,280 feet above sea level, the eight-mile round-trip hike to Mount Townsend offers 360-degree panoramic views of nearly all of Western Washington and southwestern British Columbia. To the east, one can see the city of Seattle, the entire Puget Sound and Salish Sea, the Hood Canal, Mount Rainier, Mount Baker and the mountains around Vancouver, British Columbia. To the north, it is common to look at the Strait of Juan de Fuca, Vancouver Island, the cities of Sequim and Port Angeles and the sandy outcropping known as Dungeness Spit. While the views to those directions are impressive, the true beauty from the summit comes while looking west, toward the Olympic interior’s miles and miles of remote, snowcapped mountains. 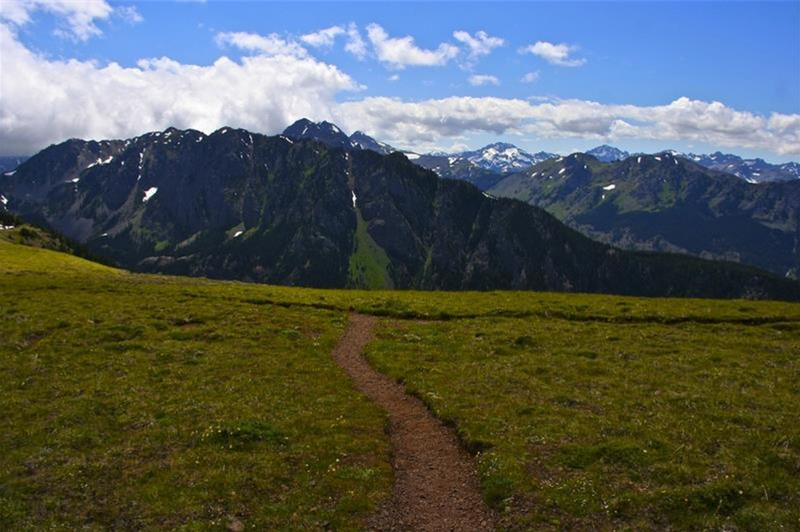 The trail is simple and easy to climb, if your definition of easy is trekking up over 30 switchbacks, which rise 3,000 feet from the trailhead. Starting at 3,400 feet, the trail rises gently through a cool, lush forest before spitting you out to the numerous switchbacks, most of which are exposed to the sun, rain and whatever other elements you may be dealing with. As the wide, well-maintained, easy to follow trail weaves back and forth above densely-forested hills and valleys, take breaks and enjoy the views, as each rise in elevation gets more and more awe-inspiring. Climbable year round, Mount Townsend is best seen between late June and early October, as the snow is typically melted out. In the summer months, the Mount Townsend trail is lined with blooming rhododendron and other local wildflowers, with brilliant colors around every corner. Bright reds, yellows, purples and greens contrast to the either gray, white or blue sky above you and the dark green of the forest canopy below. Even as you reach the summit of this wind-swept ridge small flowers are tucked against nearly every rocky outcropping. 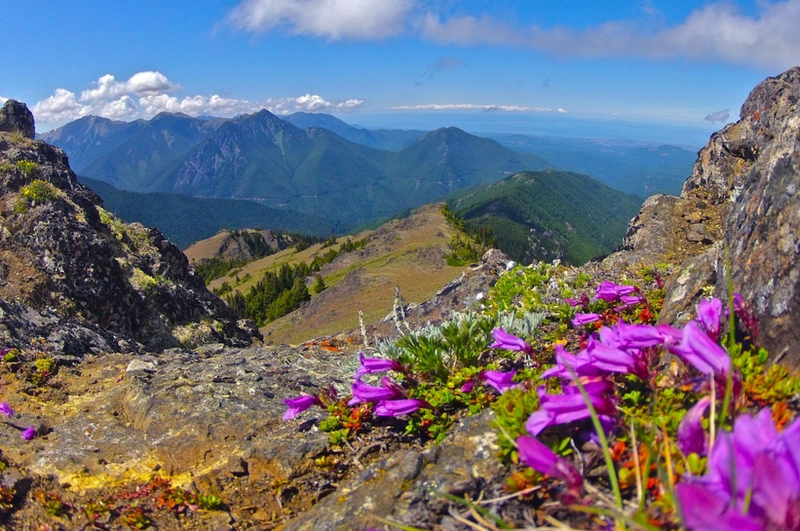 Between the views, the flowers and the feeling of being on top of the world, Mount Townsend has something for hikers of all ages and abilities. Seattle may be visible from Mount Townsend, but the 64 miles of driving to the trailhead from downtown will take you over two and a half hours. Pack a good lunch, bring plenty of water, take your time going up the switchbacks and spend an hour or more at the summit taking in the views. Be sure to bring a rain gear with you, as the weather can change very quickly. Even on sunny days, the wind can whip across the rocky summit, so staying warm, dry, properly hydrated and well fed should be your priority. 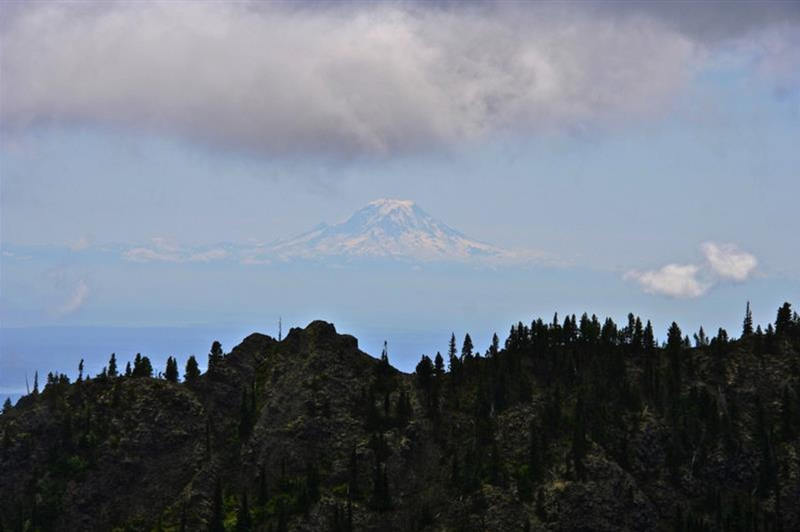 Additional day hikes are available, with the highlight being a five-mile trail to Silver Lakes that starts less than a mile from the summit of Mount Townsend. 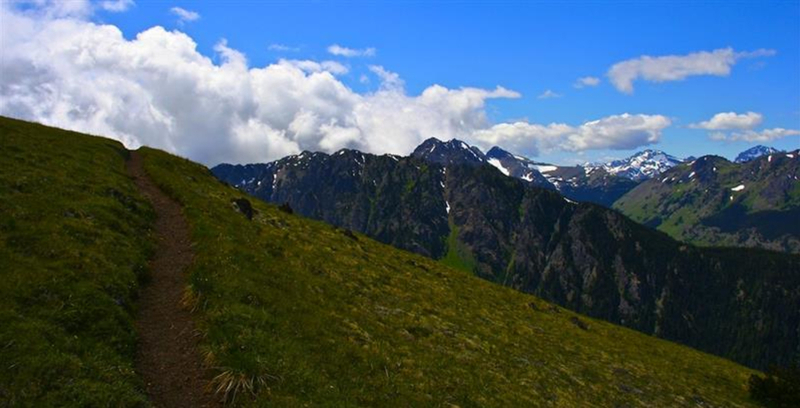 Moderately difficulty, with amazing views of mountains and wildflowers, Mount Townsend is a perfect choice for a group outing. Take your time; this is one that you’ll want to be able to truly soak in. From the Quilcene Ranger Station, continue on US 101 south for 0.9 miles. Veer right onto Penny Creek Road for 1.5 miles, and then turn left onto Forest Road 27 for 13.5 miles before turning left onto Forest Road 27-190. Take this to the end, where you will find the trailhead.